Our group was privileged to kick off the Jackson Concert Series "Music at 4" 2016! The acoustics were incredible! The audience was so receptive - it was a delight to play! Special thanks to Jane for snapping these pictures. 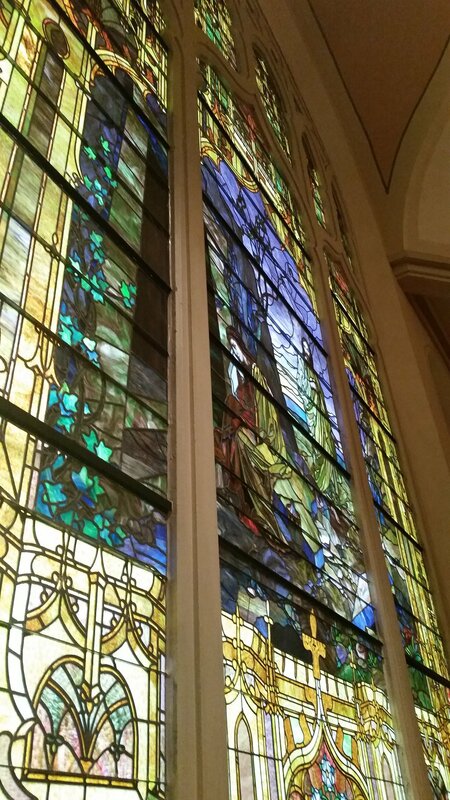 Aren't the stained glass windows gorgeous? Headed downstairs to enjoy the incredible meal prepared for us by the Seligmans of Musical Hammers Family Trio - thank you!